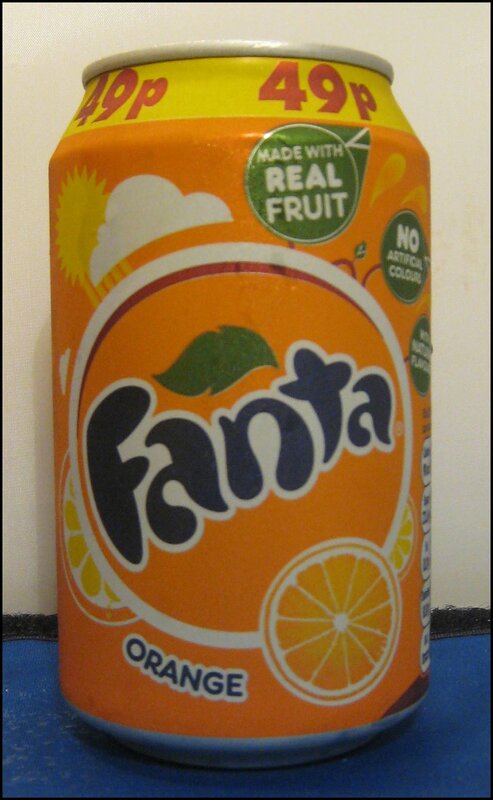 Orange Soda, probably the third most popular category of soft drink after cola and those in the lemonade family, is a well-established category and has some big names attached to it. Three big brands that started off making Orange Soda, Tango, Fanta and Orangina, have now gone on to create a plethora of new flavours and spin-offs. Orange Sodas are typically quite sweet, although Schweppes once made a bitter orange to accompany their bitter lemon. This had a medium fizz with very small bottles. It tasted of orange, with some hints of vanilla and a slight mineral quality. It wasn’t especially clean and got a bit sweet and cloying after a while, but over ice it’s pretty refreshing. Mrs. B said it reminded her of a cross between orange squash and orange sherbet; she quite liked it. A slightly more neon yellow in colour, this also had medium fizz, but the taste of orange was less distinct and less fresh. Rather sweet, it had an unpleasant habit of clinging to your teeth, which is never a good sign. It says “made with real fruit”, but I never would have guessed. It reminded Mrs. B of orange Calpol and she found it quite cloying and slick. A rather appetising colour, being somewhat reminiscent of freshly squeezed juice. There was a slight maltiness on the nose, as well as in the initial taste. This moved onto a deep, slightly bitter orange flavour, which then moved onto a fresher, fruity finish. After the taste of orange came some fieriness that lasted quite a long time. This is a different type of soft drink and one for folks who find the usual thoroughfare of fizzy pop too sweet. A dark yellow-orange and cloudy drink, this had minimal fizz, but was still quite refreshing. It was a smooth drink with a full, tangy orange flavour and some light, fruity notes and hints of vanilla. The sweetness seemed quite balanced, but, by the time I finished the glass, it had become a bit thick and sickly for my liking. 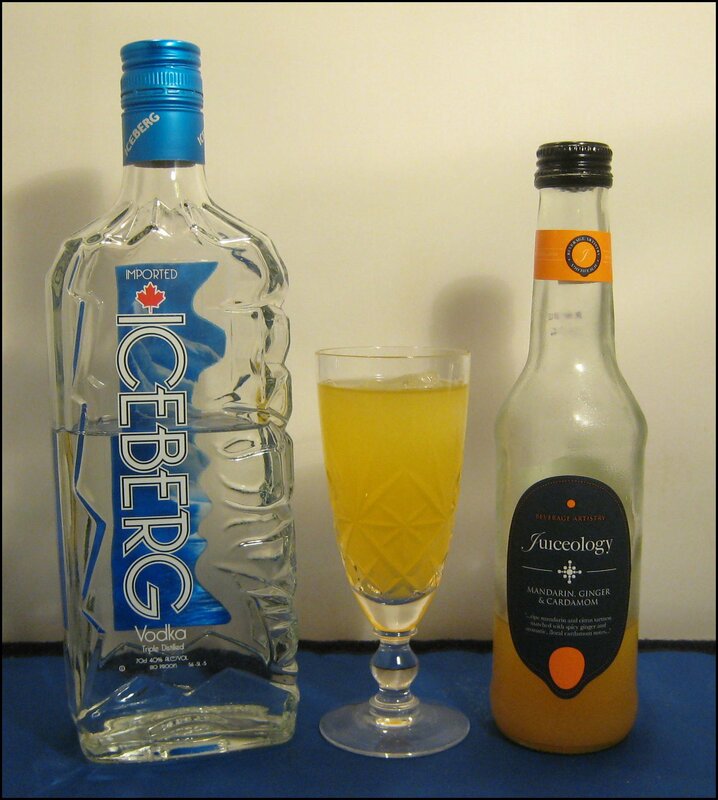 With a medium-to-high fizz, this was a tangy orange offering with a little hint of vanilla afterward. It was quite fresh and rather pleasant, but a touch cloying at the end; overall, still pretty good. In contrast, Mrs. B hated it, saying it was too fizzy – here we disagree. Initially, there were fresh and juicy flavours of orange. A medium-to-low level of fizz gave it a light effervescence that dominates the drink, but also gave it a refreshing spritz. Not too sweet and with a really orange tang on the finish, we both thought this was excellent. This was the first of our still mixers. The nose was fruity, with a touch of spice and a hint of violet/rose (or turkish delight) at the end. This was a very smooth product and was very well-balanced; we could tell that some effort has gone into making this. The main flavour was a tangy orange, followed by a light warmth from the ginger and nutty cardamon on the finish. Lovely and succulent. Cool, fruity and refreshing, but there was a slight chalky squeakiness in the texture towards the end. 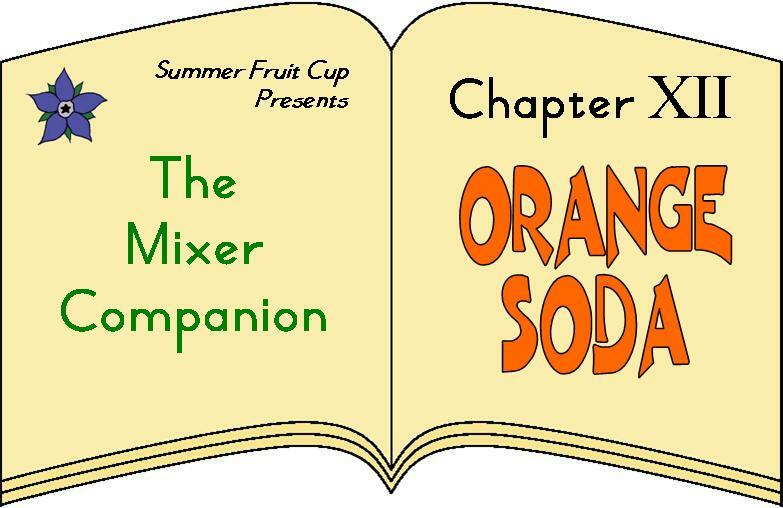 The orange flavour is very similar to that of orange sweets, in particular fruit pastilles. Mrs. B liked it found it very refreshing; she found it to have a soft sweetness and an aftertaste of marshmallows. Very sweet and rather syrupy, the tangy orange was there, but more subdued than in most others. 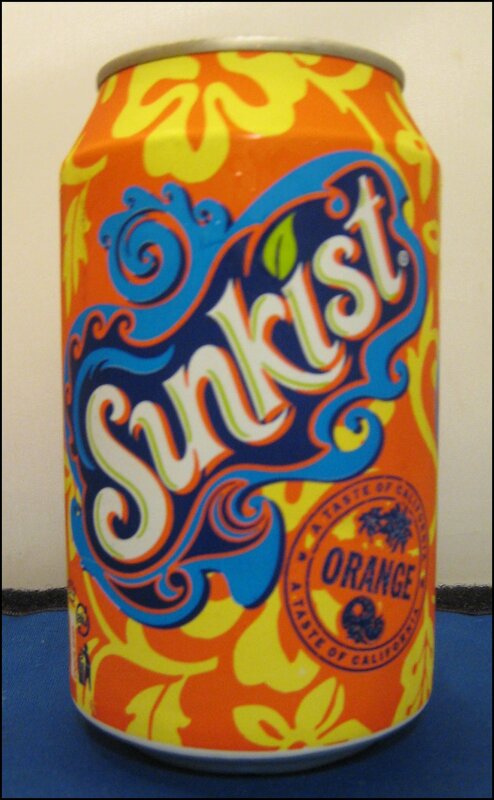 As an orange soda, this wasn’t great, but for nostalgia reasons I still really like it. To start, there was a fresh flavour of orange juice and a medium-to-high level of fizz. Quite tangy and refreshing, this was somewhat reminiscent of orange juice and lemonade. 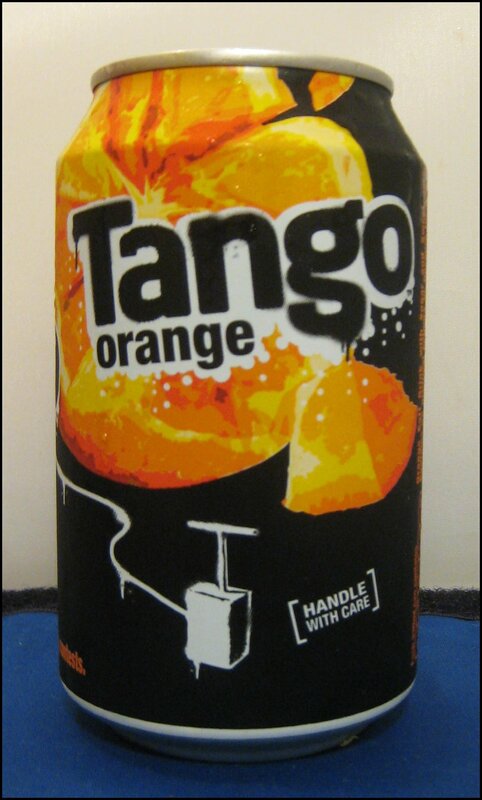 Medium-high fizz, fresh orange fruit flavour and some creamy hints of vanilla. Rather nice, possibly a touch on the sweet side but it doesn’t really take away from the drink that much. This use Sicilian Oranges and Raw Cane Sugar. Medium fizz with a slight orange sourness, not too sweet and quite fresh a hint of the bitterness you get from Bitter Lemon and int he UK this is the closest I have found to what I think Bitter Orange would taste like. As such it very refreshing a good thirst quencher. I’m quite a fan of bitter lemon and as I could not, sadly, get hold of any Schweppes Bitter Orange, in the spirit of innovation, I decided to make my own. Quite pleasant, with fruity orange flavours and a dry, bitter finish. Cooling and very, very refreshing. I still prefer bitter lemon, but this is a close runner-up. The bourbon and bitters gave it a feel of an Old Fashioned and the Orangina gave it the same aftertaste that the orange twist gives to an Old Fashioned. 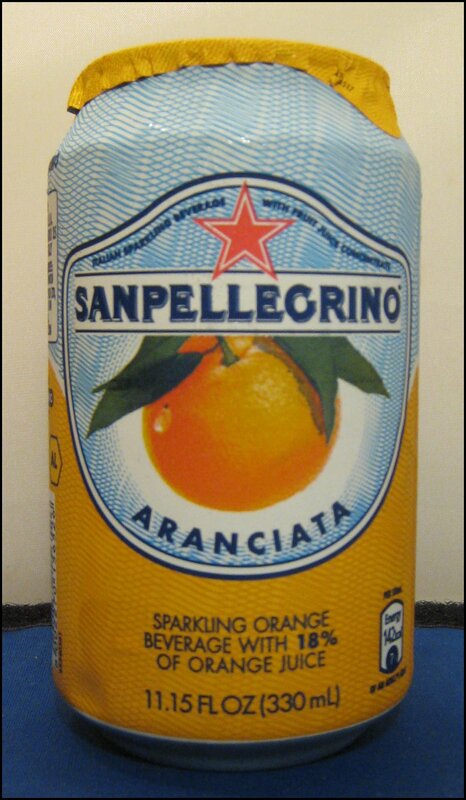 Complex and refreshing, I think only by using a good qaulity orange soda like Orangina could you pull this off. 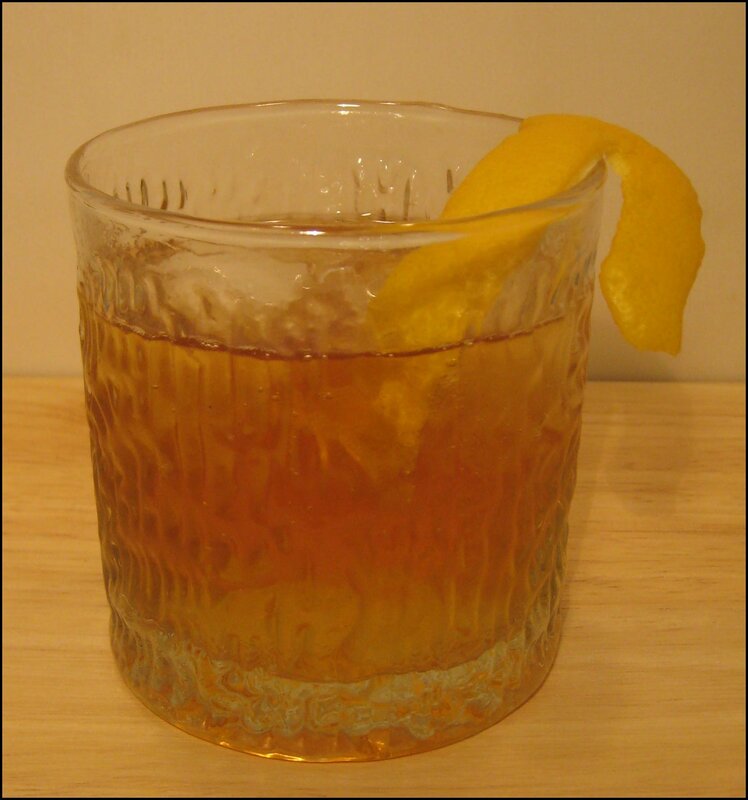 This is an Old Fashioned for beginners. I used one of the still drinks, Juiceology Manadarin, Cardamom and Ginger, for this drink. It was very clean, with some vanilla and herbal notes, fresh orange and a hint of spice and fire from the juice. There was quite a lot of flavour and I’d advise using quite a clean, crisp vodka to stop too much flavour interfering with the other flavours of the drink. Packed with flavour: the herbal complexity of the vermouth, the dryness of the gin and one of the vermouths, and the sweetness of the Orangina and the other vermouth, all tied together by the Angostura Bitters. It also had a tangy orange finish. Quite refreshing, I thought it would make a pleasant aperitif. 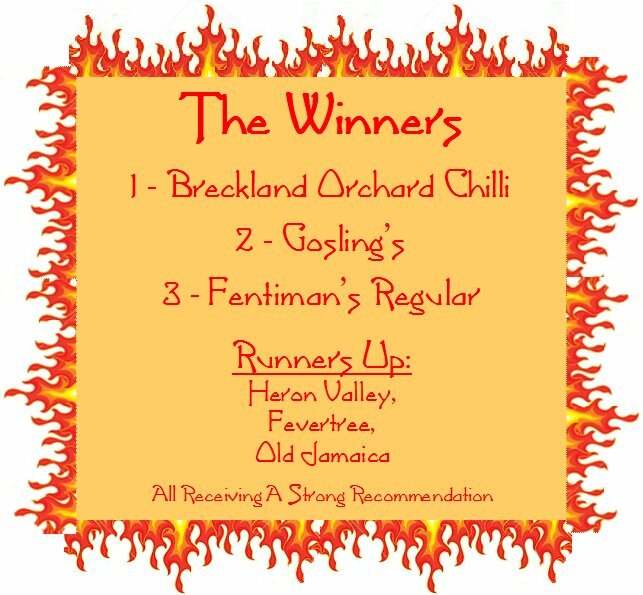 Update July 2012 – Since the market has expanded so much we undertook a second tasting incorporating the new products, the new results are below. 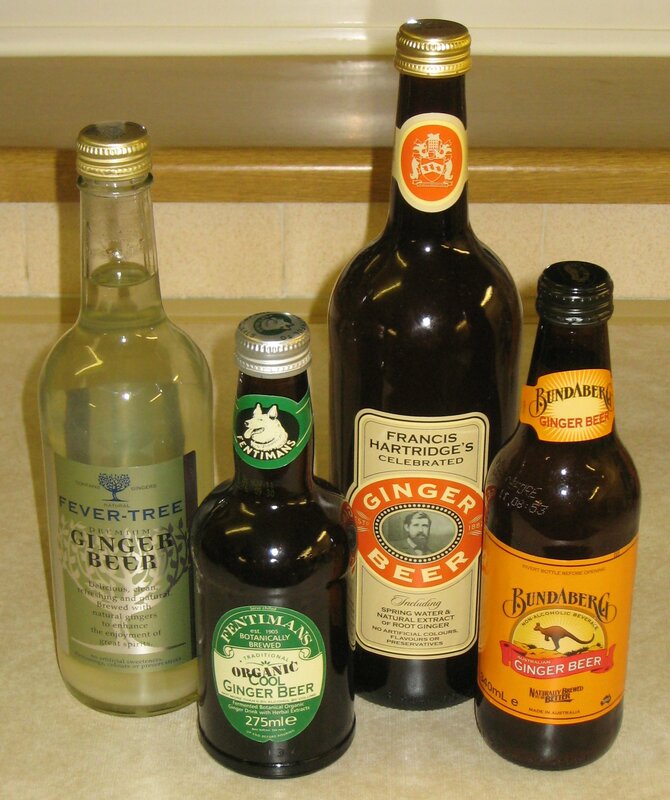 Following the success of our non-alcoholic ginger beer tasting, natural progression seemed to recommend a tasting of their alcoholic counterparts, although it should be noted that only Fentiman’s and Crabbie’s currently make both alcoholic and non-alcoholic ginger beer. The ginger beers were tried blind, thanks to the help of our server, Mrs. B, and we tasted them both on their own and with ice. 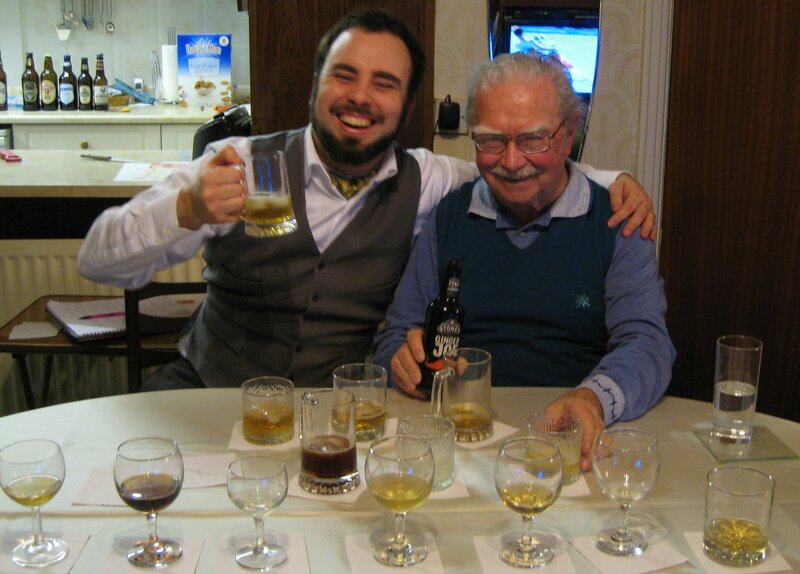 The tasting was conducted by myself and my grandfather, David Smith Snr (a long-time ginger beer fan). 2) Ale-led: these have a more “ale-like” flavour profile and are typically made by beer breweries. Made by the company that makes Stone’s Ginger Wine and my favourite fruit cup (sadly discontinued), this isn’t out on the market yet and so we were very lucky to get a sneak preview. The product uses their famous ginger wine as a base and is named after Joseph Stone, a grocer with a fine moustache and founder of the Stone’s Company. Ginger Joe doesn’t taste too alcoholic (this was a favourite of my Grandma, who doesn’t usually drink alcohol) and was sweet, but had a nice amount of ginger behind it. There was slight syrupyness (reminiscent of ginger wine), but this didn’t spoil the drink. Stone’s did improve with ice, where the flavours became more pronounced. All in all, the drink was tasty and refreshing; I’ll look forward to its release. Made by the same firm that has been producing Ginger Wine and Whisky Mac for decades, Crabbie’s was the first of a new wave of alcoholic ginger beers to be released on the market and have recently expanded their portfolio (see here for more details); their most recent release is a non-alcoholic ginger beer: John Crabbie’s. 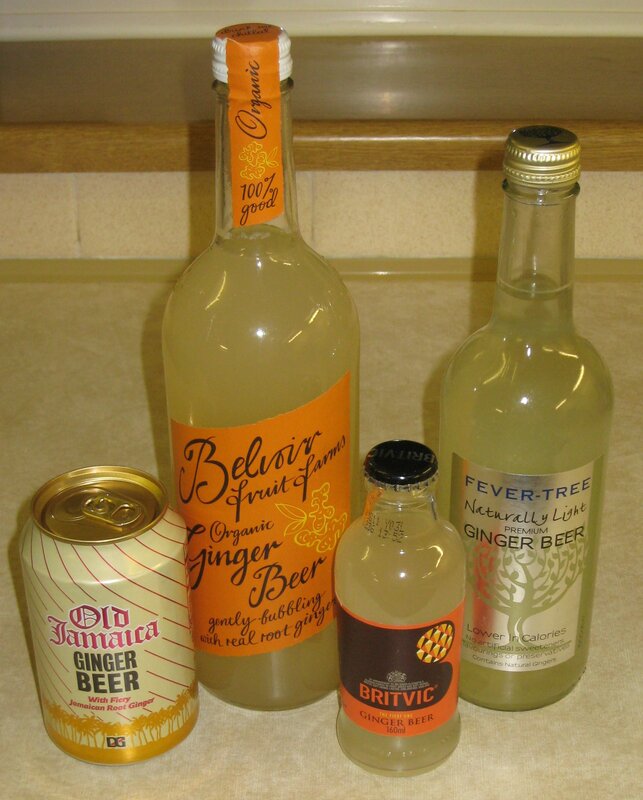 The Original Alcoholic Ginger Beer has tangy ginger on the nose and an initial taste that is reminiscent of ginger nut biscuits or ginger snaps. It had quite a long finish, with a warming tingle afterwards. This was quite fizzy and was slightly more beery than the Stone’s. It was quite nice on ice, but we both felt that it lost some of its character and, therefore, would prefer to drink it chilled without ice. Crabbie’s is also available at J.D. Wetherspoons. This ginger beer is made by that bastion of the soft drinks world, Fentiman’s. 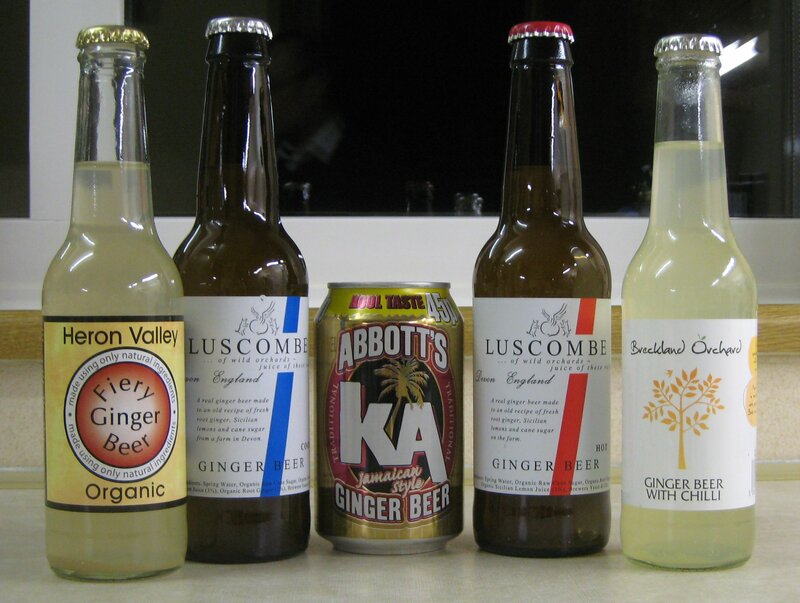 Both their tonic water and non-alcoholic ginger beer have done very well in previous tastings on Summer Fruit Cup. Hollows was launched in September 2010, is botanically brewed and contains pear juice. It is named after John Hollow’s the son-in-law of Thomas Fentiman. It appeared lighter and more cloudy than the others and there were interesting floral notes in the nose. The floral aspects continue in the flavour of the drink, with little hints of violets. This reminded me of ginger lemonade or a strong ginger ale (the soft variety), with the alcohol element being far from over-powering. On ice, this was very refreshing, although we thought some of the complexity of the flavour was lost. Hollow’s is available from The Drink Shop at £2.13 for 500ml. This is available at a very reasonable £1.39 for 500ml, so it’s pretty cheap, but how does it taste? 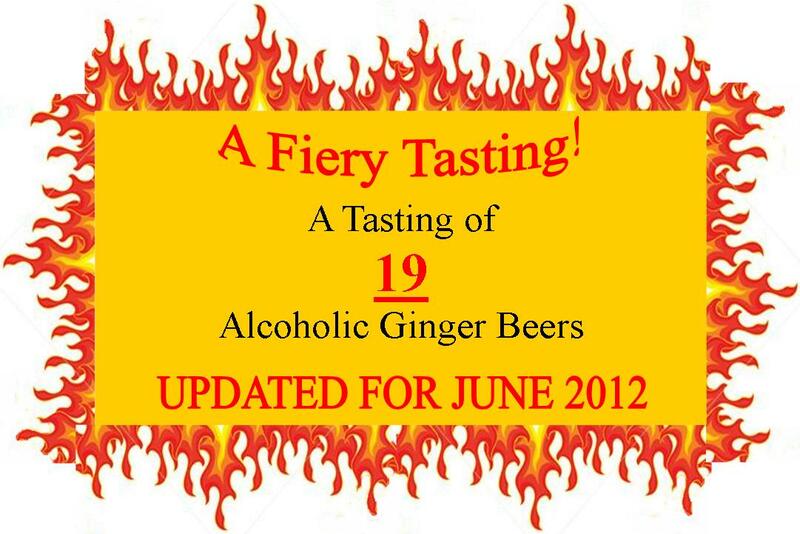 This is quite fiery and gingery, but probably the least alcoholic-tasting that I have had. It was very similar in many respects, except colour, to Old Jamaican Ginger Beer and had that same heavy warmth of fieriness at the end. The upside of this is that it is not too sweet, which means you could probably drink more of it. There’s also a slight, bitter muskiness at end. The downside is that it is may be a touch too fizzy for my liking. Still, it represents excellent value for money and is a pretty good product overall. Church’s is available from Aldi for £1.39 for 500ml. The beer is quite gingery, but, thankfully, not too sweet. It has a good level of fizz, without being overly effervescent. The flavour starts off slowly and then builds in a crescendo of spiciness. The finish is long, but, apart from the residual tingle from the ginger, is relatively hollow. 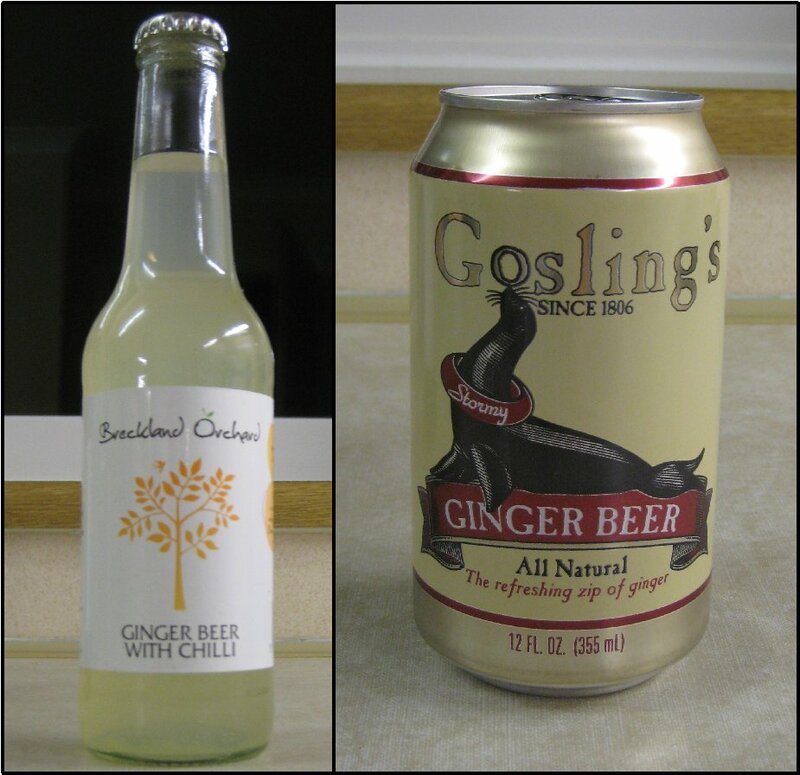 This ginger beer is refreshing and quite easy to drink; we both enjoyed it and would buy it again. I was intrigued that, despite being made in a brewery, this was not an ale-led ginger beer and in fact was more similar to soft-drink-style ginger beer. Crabbies have taken their original formula and added natural orange extract and a hint of spice. This had a medium fizz; it seems slightly less fizzy than normal Crabbies. Initially, there are flavours of ginger and vanilla, which are followed by slightly spicy, bittersweet orange; in some ways, this reminds me of chocolate orange. This is then followed by the familiar Crabbies ginger fire. I consider this to be a modest modification on the original, but the new flavours are certainly noticeable and quite welcome. It’s seasonality will keep it special. Crabbie’s Orange is available from Morrisons for £1.99 for 500ml. This created by reserving some of the original alcoholic ginger beer during the steeping process and oak mature it with extra spice, citrus and steeped ginger. taste: crisp and citrusy to start with then some sweetness and a good kick of ginger fire. Medium to low fizz touch of smokiness to. This is refreshing, easy to drink and pleasantly quaffable. with ice: the ice chills the ginger beer down nicely and on a scorch hot day this would be lovely, when it’s not so sweltering I’d go for having Crabbie’s Black chilled from the fridge to stop the drink becoming too watery. Crabbie’s Black Reserve is available from Tesco for £1.99 for 330ml. Tesco were a little behind the curve on making a soft-style alcoholic ginger beer. However, following in the footsteps of Morrison’s and Sainsbury’s, they havehad an ale-led alcoholic ginger beer for a good while now. When I purchased my bottle, it was available at a promotional price of £1, but the regular price is still a reasonable £1.50. I thought it had a medium-high fizz, good levels of fiery ginger and wasn’t too sweet. As such, it was refreshing and very easy to drink. I would say that this is the alcoholic ginger beer that most closely tastes like a soft version. With added ice, this was even more cooling and refreshing; the ice brings out additional hints of citrus, making it highly quaffable. Overall, this had a great taste and was even better value for money. Tesco Simply Alcoholic Ginger Beer is available from Tesco for around £1.39 for 500ml. Bottled at 4%ABV this had an intriguing nose of sweet ginger, sarsaparilla and malt. To taste, it had quite a rich texture and, like the Sour Mash brew, a medium-low level of fizz. The ginger was definitely there, along with some herbal and citrus notes. Not too sweet, it was quite refreshing on its own, even without ice. The finish had reasonable fire to it. Once ice was added, I found that the fire became far more restrained and, as a result, the drink became more refreshing. It was nice served with a lemon wedge. Overall, this was well-balanced and easy-to-drink. 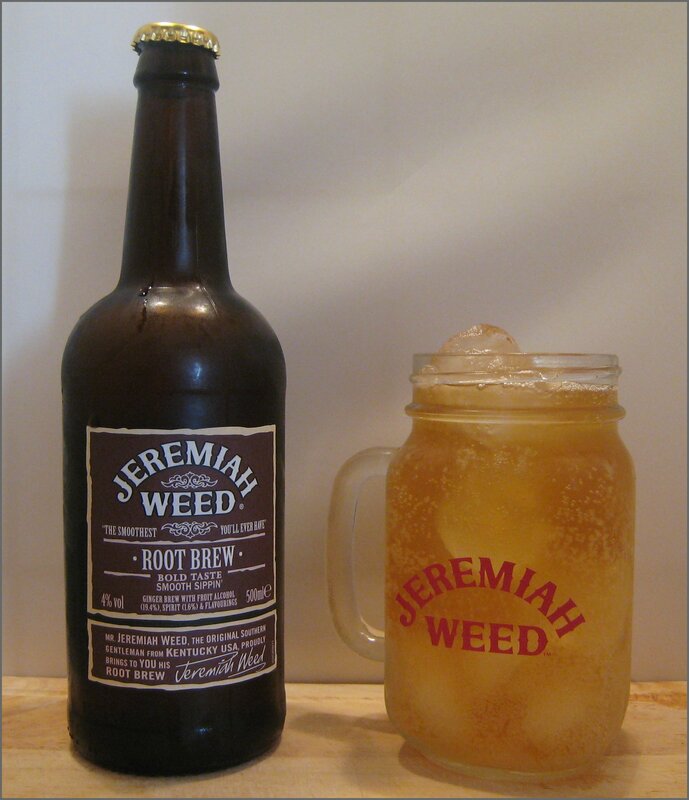 Jeremiah Weed Root Brew is available from most supermarkets for around £1.80 for 500ml. This ginger beer is actually a ginger cider and is made by H Westons & Sons of Herefordshire, (they make a large range of cider and perry, including my favourite, Old Rosey, a really great, scrumpy-style cider. That said I’d say that this I’d say it a pretty comparable product. Nose: Jammy, citrus and ginger. A bit like ginger marmalade. 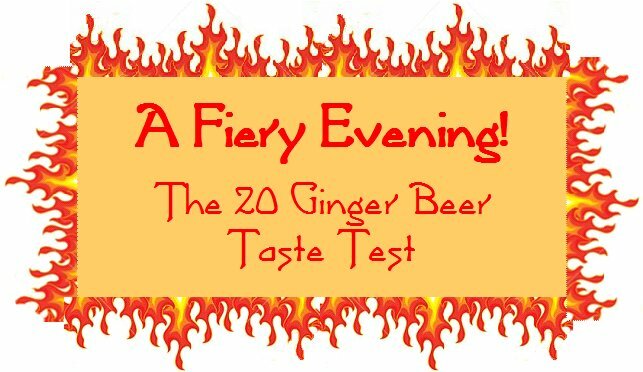 Taste: Rather pleasant; dry, juicy and, whilst the ginger is there, there’s no definitive burn or fire. Finally, there’s a little vanilla at the end. There’s some muskiness and hints of almond, too. It’s very refreshing, not too sweet and, although initially the ginger is faint, as you drink more, its effects builds up. Morrison’s New Season Cider with Ginger Flavour is available form Morrison’s for £1.50 for 500ml. This ginger beer is actually a ginger cider and is made by Brother’s (they also make pear, tutti fruitti, strawberry and toffee apple cider to name but a few) but I’d say it a pretty comparable product. Funnily enough, this tastes like ginger cider (who’d have thought it? 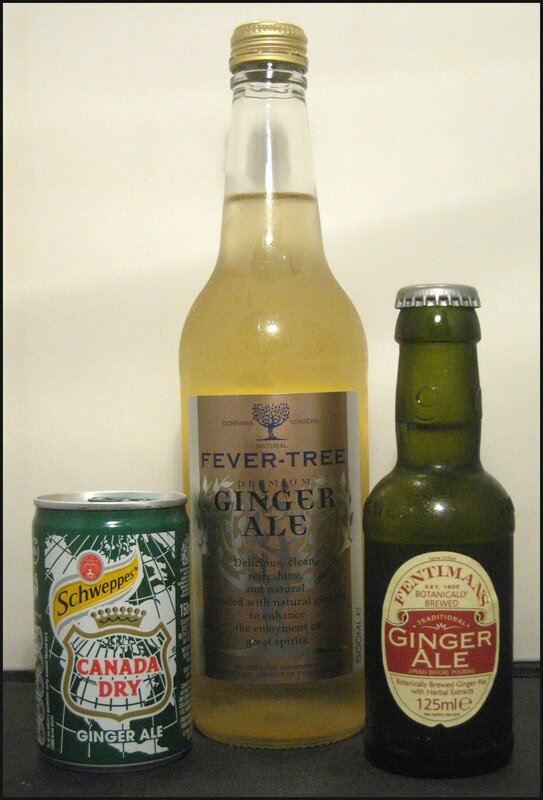 ); however, it also has similarities to the sweeter alcoholic ginger beers, such as Crabbies. Brother’s Ginger is not too fizzy and not too sweet and is really quite refreshing; however, one downside is that after one bottle, it is a bit sickly. I don’t think that I’d bother with ice for this drink; just serve it straight from the fridge. Whilst this is not technically a ginger beer, it is worth trying if you enjoy the likes of Crabbies, Stones and Frank’s Alcoholic Ginger Beer – if you like cider, too, so much the better! Brother’s is available from Tesco for £1.99 for 500ml. This first time a whisky company has got into making ginger beer, this drink is (partly) fortified with Famous Grouse Blended Scotch, this make sense as a Scotch and Ginger Ale is a classic and refreshing drink. Nose: Warm ginger, hints of sweet butter. Taste: Whilst not overly or forcibly bubbly, lots of small bubbles do rush over your tongue initially. The flavour is then light and refreshing, with notes of citrus – both lemon and lime, and both buttery and creamy, reminding me of lemon tart and key lime pie. The whisky is subtle, but present from the outset, adding a very light woodiness that reminds me of a Whisky & Ginger; the main difference being the stronger, more fiery notes of ginger on the finish that gradually build up as you drink more. All in all, this is tasty, refreshing, and very easy to drink. Ginger Grouse is available from Tesco for £2 for 500ml. 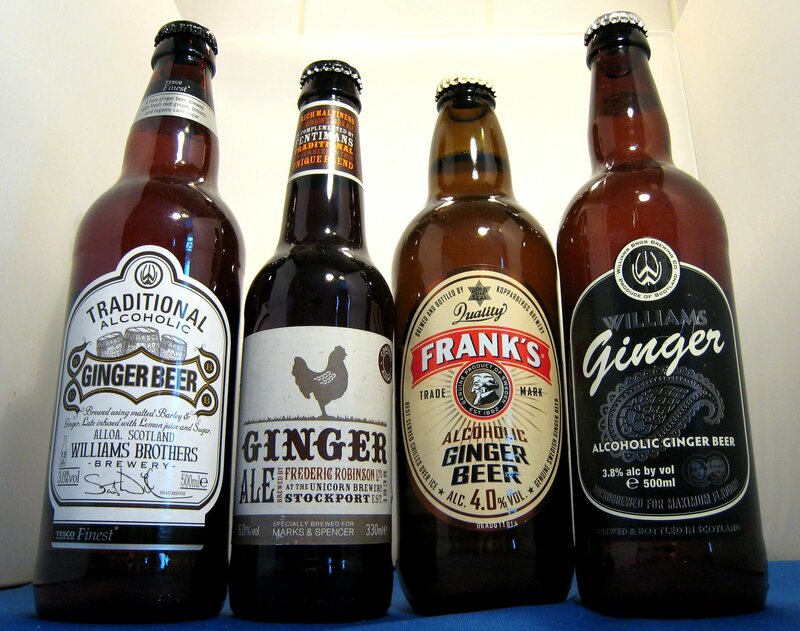 From the folks that brought you Koppaberg Cider comes Frank’s Alcoholic Ginger Beer. Made in Sweden in the style of Genuine Swedish Ginger Beer, this is described as a traditional beer blended with ginger. Frank’s also make an Alcoholic Root Beer. This was somewhat of a hybrid between the two categories and we both quite enjoyed it. The drink had a frothy head and smelt rather malty. The drink in itself was quite fizzy and, with hops and malt throughout, much more like beer than the previous varieties. I also got a subtle flavour of apples from the drink, too. In addition to all of this, it also had a strong ginger flavour that became more pronounced as you drank it. However, this didn’t improve with ice. Frank’s Ginger Beer is available from Tesco’s for around £1.99 for 500ml. It is also available at J.D. Wetherspoons. Made by Williams Bros Brewing Company in Scotland, William’s Ginger is described as having a “beery” flavour even though it contains no hops. This was pretty beery with some light ginger flavours initially, followed by a very strong ginger aftertaste. If you find most ginger beers too sweet and would find something like the M&S (see #6) too far-removed from ginger beer, this is definitely worth trying. It’s worth noting that this did not improve with ice, but then real ale doesn’t usually go well with ice. This is a blend of Fredrick Robinson’s Dark Ale with Fentiman’s Traditional Ginger Beer, in an approximate 70/30 ratio, and is bottled exclusively for Marks and Spencer. Robinson’s also make a separate beer called Ginger Tom, which is also a dark ale blended with Fentiman’s. The Ginger Ale was very dark; the same colour as coke. It tasted predominately of ale and, to befair, we easily guessed which one this was. There was some ginger on the finish, but its taste didn’t readily identify it as a ginger beer and, as far as real ale goes, I’d rather have a pint of something else. It was a bad idea to add ice to this. Marks and Spencer “Ginger Ale” is available from M&S £1.99 for 330ml. Like #5, this is also made by Williams Bros Brewing Company of Scotland. It’s worth noting that this is effectively the same product as #5, but it was interesting that the Tesco variety was darker, despite the flavours being very similar. I would suggest that the best way to serve this was slightly chilled but not too cold. Tesco’s Finest Ginger Beer is available from Tesco’s (suprise, suprise) for around £1.79 for 500ml. From the Piddle Brewery in Piddlehinton, Dorset. Amongst other products, they also make the following beers: Jack’s Riddle, Silent Slasher and the seasonal Santa’s Potty. Leg Warmer itself is a seasonal beer, for the summer, and it is made with Styrian Golding and Saaz hops and real ginger. Certainly an ale-led Ginger Beer, it has the appearance of a cloudy pale ale, with no fizz; it is quite hoppy, with ginger at the end, but it is quite subdued. However, it is most pronounced on the aftertaste. It certainly isn’t one that you’d serve on ice and it has a suggested serving temperature of 12-13 oC. Unlike most of the other ale-led Ginger Beers, this is not too rich nor stout-like, which makes it rather more refreshing.. This is available from various Piddle Brewery Outlets. A dark, amber brown in colour. nose: Initially, there was malt , followed by sweet ginger wine. taste: Very smooth and quite sweet, with minimal fizz. It seemed like a real, middle ground between soda and ale. with ice: much better, the flavour is tipped towards the soda side of that balance. Still, it’s a bit sweet and creamy, like ginger soda, but with malt undertones and a real, real fire on the aftertaste. GingerBeard is available from most supermarkets for around £2 for 500ml. This is made by the Hall & Woodhouse Badger Brewery of Blandford St. Mary in my neighbouring county of Dorset. They are well known for their ales, such as Badger’s First Gold , Tanglefoot and Fursty Ferret. This bottle has a fly fishing theme that appealed to an angler friend of mine. This was certainly an ale-led ginger beer, being very smooth, not too fizzy and definitely not too sweet. It worked better chilled than over ice, providing a very refreshing tipple. Fans of heavy ginger notes may be disappointed, as the Flyerhas a more subtle fieriness, that only appears on the finish. Blandford Flyer is available from Tesco and Waitrose for around £2 for 500ml. Made by Robinson’s of Stockport, this is a variation on their popular Old Tom Orignal Ale (which itself has a slight fieriness to it) with added ginger. This was a deep, dark red-brown ale, with hops and hints of sarsaparilla and ginger on the nose. Ale-like initially, this was followed by some sweetness, hints of vanilla, sarsaparilla, and wintergreen,with more ginger coming through towards the end. Intriguingly, rather than a ginger beer, this seemed to be more of a mix of ginger or root beer with dandelion & burdock and cream soda. 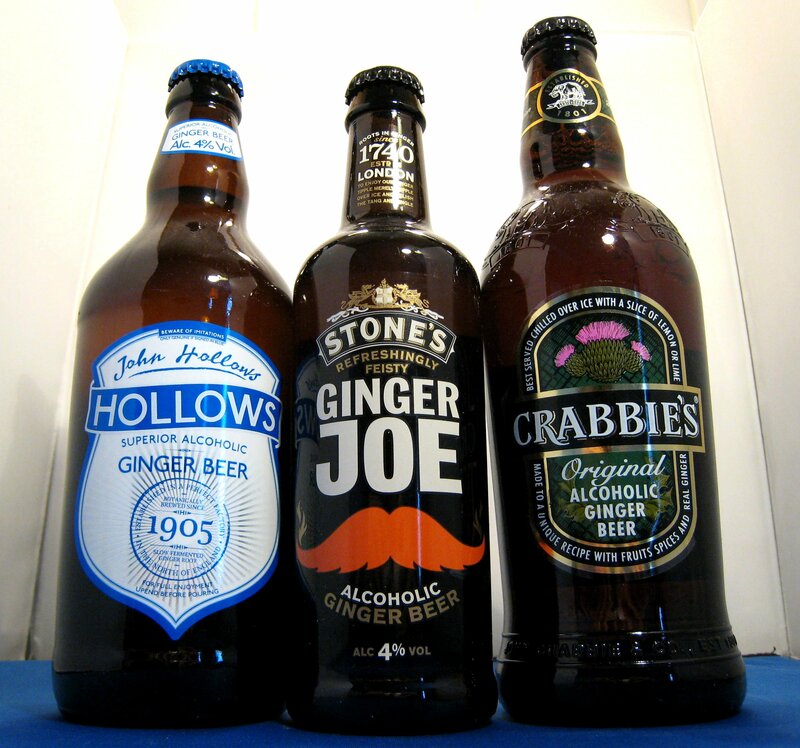 the better ale-led ginger beers. Robinson’s Old Tom with Ginger is available from Sainsbury for around £2.50 for 330ml. 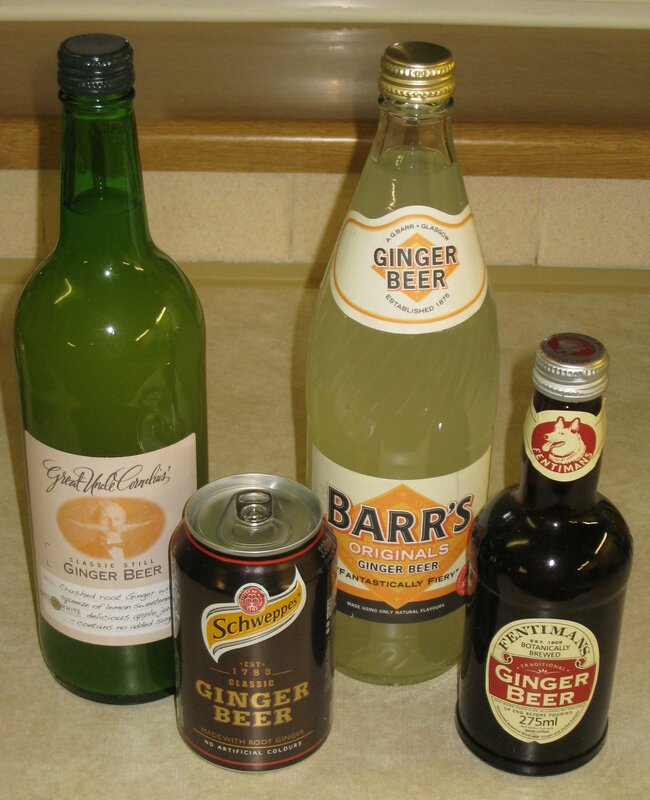 After the tasting, it was clear that we both preferred the Traditional Style Ginger Beers (although Mr. Hartley of the Institute of Alcoholic Experimentation preferred the Marks & Spencer’s version), which we found both more gingery and more refreshing. 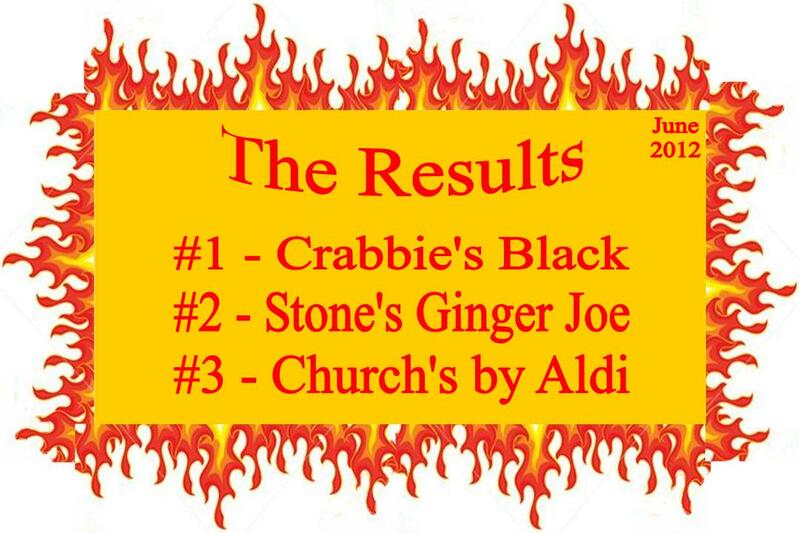 An 8th ginger beer (Crabbie’s Non-Alcoholic) was thrown in as a wild card, and the most noticeable difference was the colour. In terms of size we thought 330ml was the sweet point of size. I also think that it’s worth noting that, although most of the brands suggested enjoying their drinks over ice, we both preferred them on their own and would simply drink them well-chilled from the fridge. 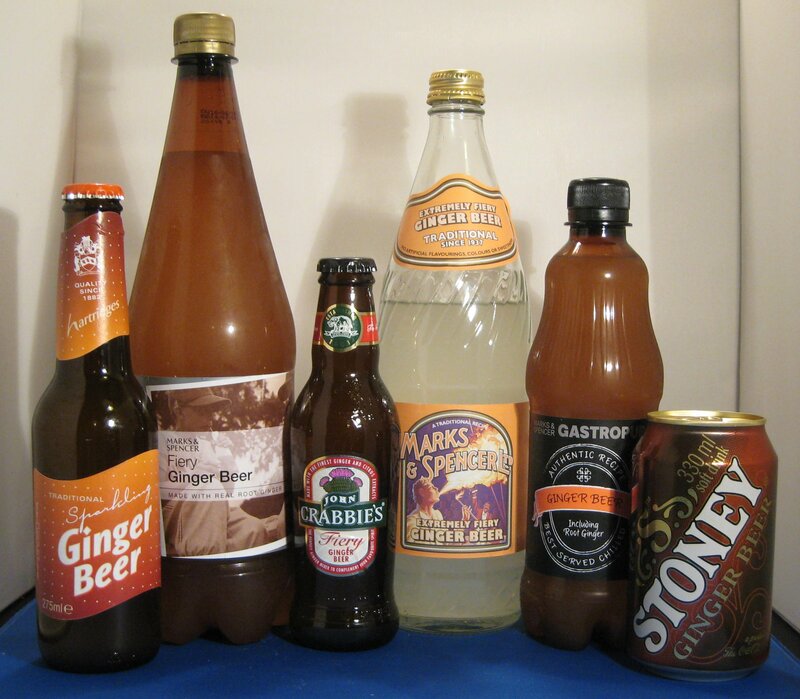 With Alcoholic Ginger Beers an Root Beers entering the market, a return to alcoholic lemonade? Personally I’m hoping for a hard Dandelion & Burdock. 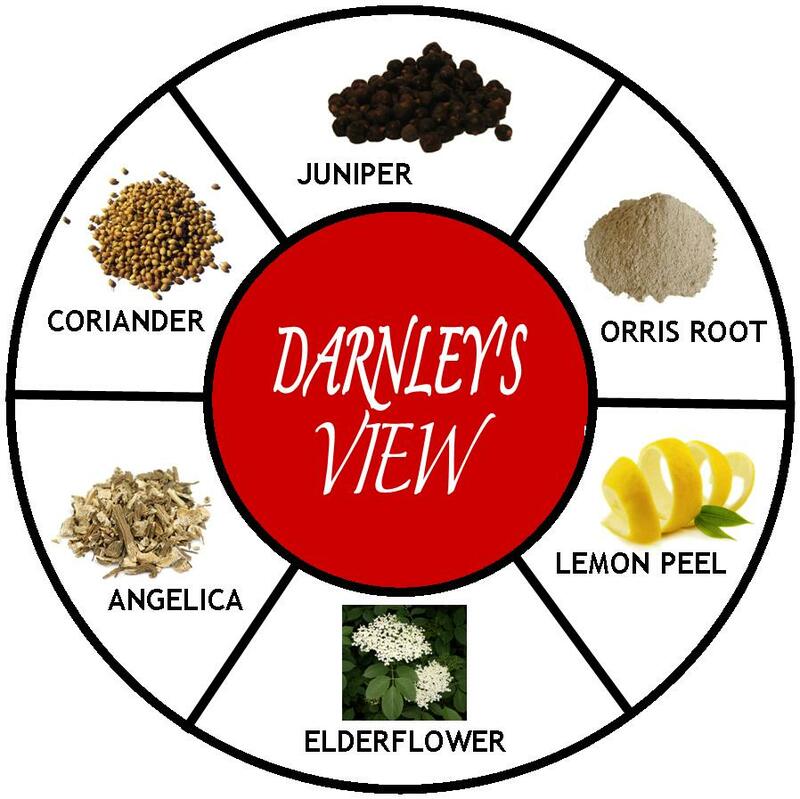 With so many excellent reviews of various Gins online, I found myself hesitant when I considered how best to test a Gin for one of my posts. I eventually concluded that, rather than just tasting the Gin and trying it with tonic and in a Martini – an excellent method in itself – I would instead try a greater array of Gin cocktails. I thought I would test this method with a rather new Gin: Foxdenton. I would just like to state that my list of eighteen Gin cocktails is by no means exhaustive and my method is a work-in-progress. Foxdenton Gin is produced by the Foxdenton Estate Company in Winslow, Buckinghamshire*. The Estate itself dates back to 1367. They also produce sloe, raspberry and blackcurrant Gin. The strength of this Gin (48% ABV) produces a strong tingling sensation in the mouth and it’s certainly a Gin that packs a punch. It has pronounced flavours of citrus and juniper, particularly on the finish. This a Gin-lover’s Gin and moves away from a recent trend of gentle, more “sippable” Gins being created. 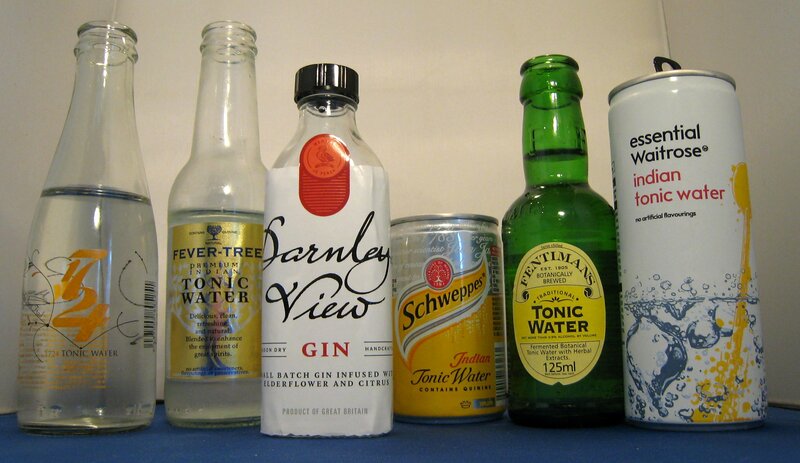 I started with Schweppes Tonic. Why? Because it is one of the best selling there is. I found that a hearty garnish of lemon really complemented the mix of Gin and Schewppes, although, out of personal preference, I would tend to use Fentimans; this is because Foxdenton benefits from the lemongrass flavours in Fentimans, making for a rather tasty drink. A lovely crisp and clear Martini; simple, as a Martini should be. Works well with a lemon twist as a garnish. The extra strength works well in this and it was well-liked by the Martini drinkers in the group. Here, I think, Foxdenton excels: Foxdenton and Rose’s Lime Cordial are a great combination. There was some disagreement as to whether the drink was better with a splash of soda, but it was unanimous that both were very good. The one downside is that the lime does hide some of the subtleties of the Gin, but it is still a tasty drink. Another favourite, although I was perhaps a little lighter on the sugar and lemon than I would be generally. This is incredibly drinkable, with a nice juniper kick at the end. The extra strength of the Gin was noticeable, but certainly not overpowering. This was a great summer drink but one that I could enjoy year-round. Pleasant; the strength of the Gin is still apparent, but its flavour, in particular its citrus notes, contrasts well with the sweetness of the Creme de Mure. A lovely little drink and a good use of the Gin. A variant of this using Foxdenton’s Blackjack would be interesting. A grandfather of a cocktail; quite easy to drink and, although it gives the Gin some warmth, it truly doesn’t do this particular Gin justice. 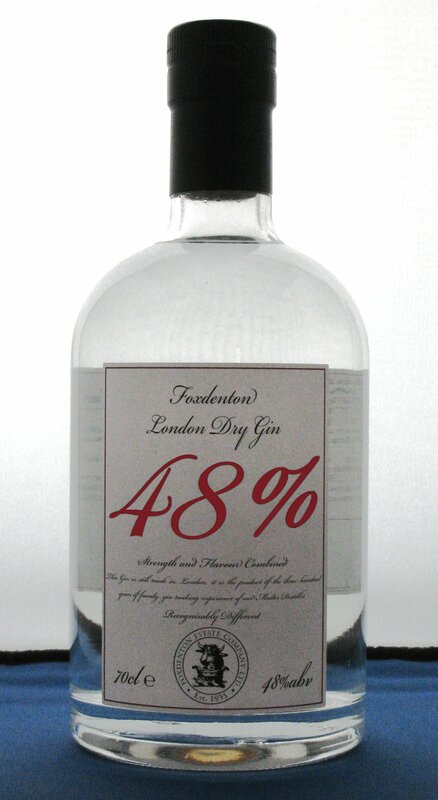 The extra kick provided by the Gin’s 48% strength is nice a change for this drink, making it strong, yet smooth. Whilst this is a less delicate White Lady than most, it certainly makes more of an impression and is therefore strongly recommended. This shows off the Gin almost as well as drinking it neat. The Foxdenton’s flavour really comes through: the juniper dominates, and there is a neat marriage between the lemon juice and the Gin’s citrus. A good way to savour the Gin’s characteristics. Not an outstanding mix, but the various ingredients do produce lots of flavour in a partnership where the Gin still pulls its own. Clean and crisp; a little lemon, with a compliment of juniper at the end. I really liked this drink and think that it makes a very palatable alternative to a Martini. 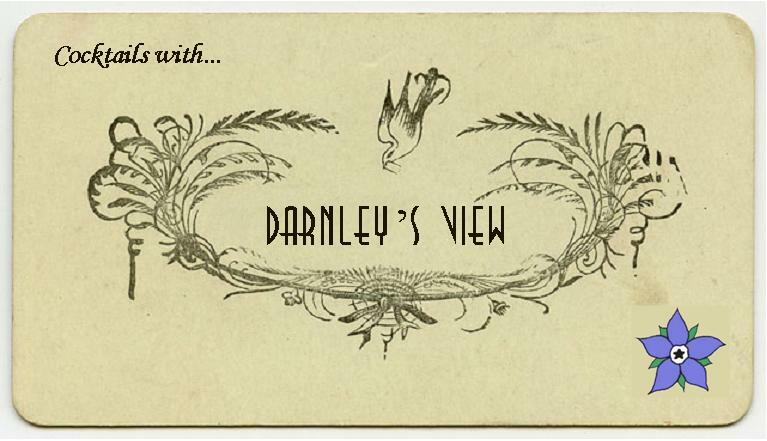 It would be great to try this with some of the newly released Creme Yvette: a floral liqueur that has not been previously available for a few decades. This is not a stereotypical Gin cocktail, but it was suggested by a friend. 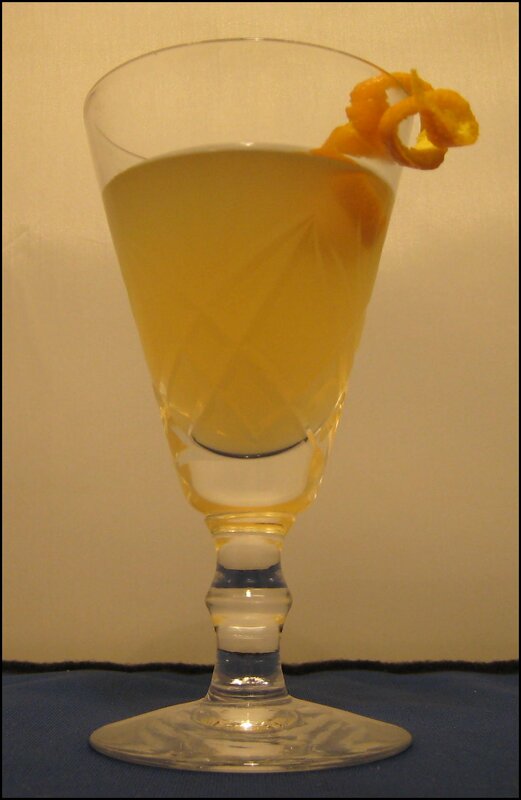 It is a mix of Gin, Galliano and Lemon Juice. This was surprisingly nice and the ingredients all mix well together, the herbs and spice of the Galliano being a pleasant complement to the Gin’s botanicals. Another delicious combination: the muskiness of the juniper contrasts with the syrup’s sweetness and both balance out the lemon juice. This cocktail gives the Gin its due, is very, very smooth and delightfully moreish. Mrs. B thought this tasted like alcoholic ice-cream and, indeed, it is very tasty, but masks the flavour of the Gin; still, a nice drink. This drink allows the flavours of the Gin to come through and the bitterness of the Dubonet compliments that of the juniper. This is rather different to the other drinks that we tried and showcases the Gin in a different way, but it did make me feel rather hungry and could make a fine aperitif. All in all, it works well. I have to disclose that I am not a big fan of Campari and so the Negroni is not my usual cocktail of choice, but being a classic Gin cocktail, I thought it should be included. Foxdenton does make one of the better Negronis that I have had, but, although you can taste the Gin, this drink is still dominated by the bitterness of the Campari. Nice and cool, but not a drink that is really to my taste. There is a strong flavour of juniper, but the citrus in the Gin does not work as well with the orange notes in this cocktail as it has done with those of lemon and lime in previous drinks. Despite how unique and tasty this drink is, you almost wouldn’t know that it had any Gin in it at all. If you wanted to enjoy the various flavours of Foxdenton this is not the best way to do so. In conclusion, Foxdenton works well in citrus drinks such as the Gin Sour, White Lady and Aviation. It is best enjoyed in a Martini with a twist of lemon and, when mixed with tonic, is well suited to a healthy wedge of lemon as a garnish, but my favourite Foxdenton drink was the Gimlet (although there were some close runners-up). If you like a Gin with a good strength (both flavour and proof) and are a hearty fan of juniper or citrus cocktails, Foxdenton is something I would strongly recommend you try. As requested the recipes can be found here.